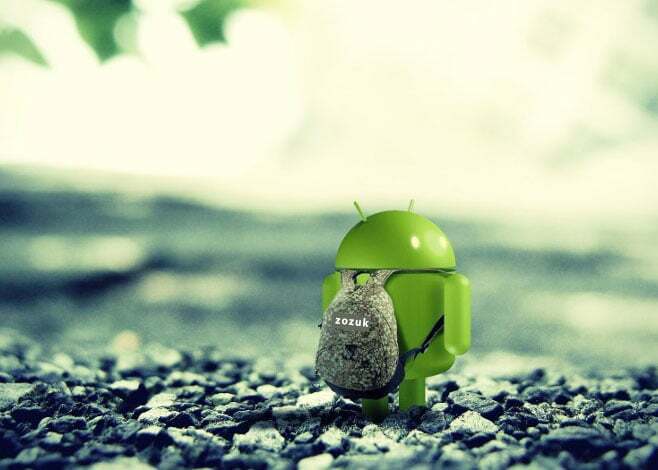 Have you ever been fascinated by the power of Android? Have you ever wondered how do these apps in our smartphones have changed the way we live? Do you ever wonder what it feels to be an Android developer? If yes, then this article is the icing on the cake for you. So let’s get started. The biggest problem one has to face to learn something new is getting started. Once the spark is provoked, the fire will blaze. Consider yourself a carpenter who desires to create an alluring piece of furniture. So, you need a good workshop, a handy set of tools along with some skills to accomplish your goal. Now if we think of Android Development as carpentry in some multiverse, Android Studio would be our workshop. Our tools would be Java Programming Language, XML(eXtensible Markup Language) etc. along with our skills viz. knowledge of OOP(Object Oriented Programming), creativity and some inspiration or idea for your application. You’ll need to install JDK(Java Development Kit) and Android Studio to develop Android Applications. Android Apps could be developed using Java or Kotlin, as Kotlin has been added as a supported language in Android Studio. So, the first step would be to download and install JDK and set environment path variable for java. I’d recommend you to search the internet to do so as “googling” is an important skill a developer must have under his belt. Everybody gets stuck somewhere, but it’s important to know what to search to get out of the problem. Now, after JDK is installed, download Android Studio. It’s the official IDE (Integrated Development Environment) for Android. You can use Eclipse if you want but its recommended to use Android Studio. 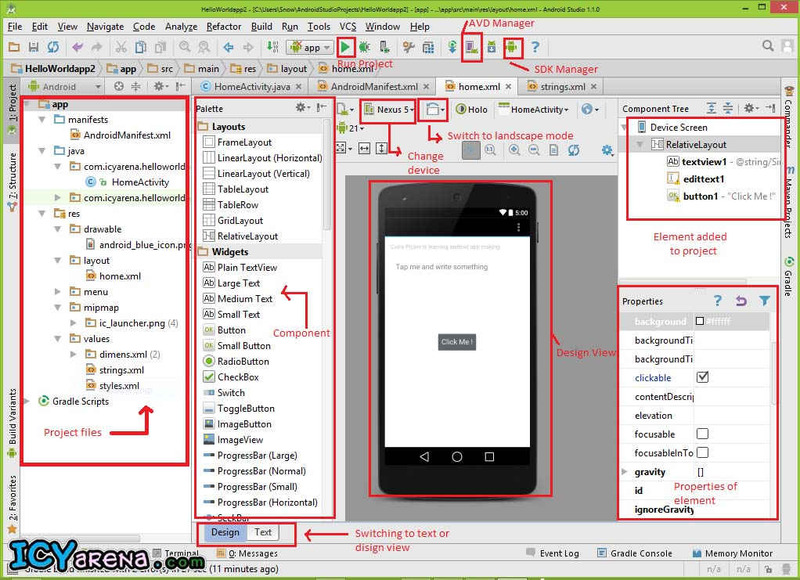 Android Studio provides the fastest tools for building apps for every type of Android device. It also provides world-class code editing, debugging, performance tooling, a flexible build system, and an instant build/deploy system which allows you to focus on building unique and high-quality apps. This development tool is built on IntelliJ IDEA which is a Java IDE for professional developers by JetBrains which provides some great debugging features and allows you to maintain a code structure for your project. Android Studio provides some great help features such as auto completion and suggestions for your variable names, hints for making your code effective and better along with Auto Import options for various Classes. After you’ve successfully installed Android Studio on your system, it’s time to get your hands dirty. 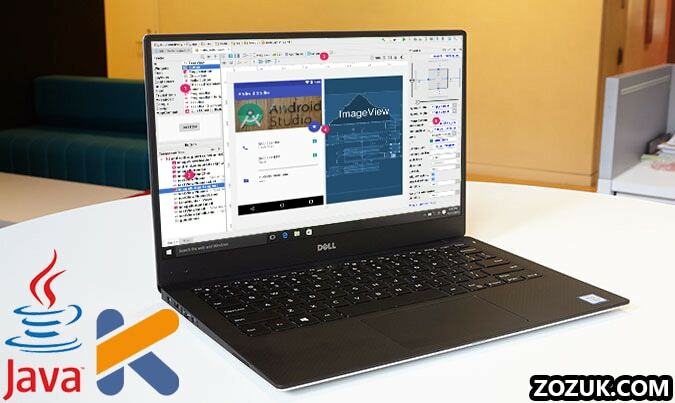 Open Android Studio and you’ll be prompted to enter various details about your project such as your project name, your Application name, minimum supported SDK version which is an integer designating the minimum API Level required for the application to run. The Android system will prevent the user from installing the application if the system’s API Level is lower than the value specified in this attribute. App Development would work in two parts going hand in hand, User Interface and functionality. User Interfaces would be developed in XML whereas Java will provide the functionality. You’ll work with several Views which are the building blocks used to build the layout of an app. Some of the commonly used Views in XML are TextView, ImageView, EditText, RadioButton, RadioGroup, Button etc. These Views are contained by their parent ViewGroups such as LinearLayout, RelativeLayout, ConstraintLayout etc. In XML, you work with tags like in HTML and these tags have several attributes associated with them. So, a kid could have attributes like black hair and brown eyes and an XML element like TextView would contain several attributes such as its width, height, text, textSize etc. 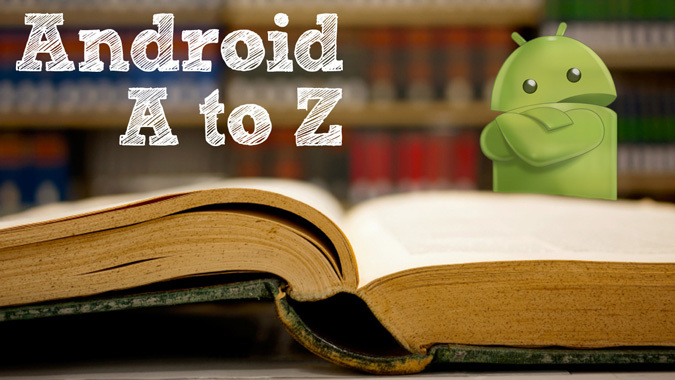 You’ll come across words like Activity and Gradle while working with Android and these words could be intimidating for a learner like you. An activity is an application component that provides a screen with which users can interact in order to do something, such as dial the phone, take a photo, send an email, or view a map. Each activity is given a window in which to draw its user interface. Gradle is a build system. I would recommend you to read this answer by Gagandeep Singh on Stack Overflow for a better understanding of Gradle. A most important tip for you: Befriend StackOverflow. Stack Overflow is the largest, most trusted online community for developers to learn, share their programming knowledge, and build their careers. If you ever get stuck on a problem, google it and you’d see a link to that same problem discussed on StackOverflow 9 out of 10 times. After you’ve opened your newly created project, you’d see project structure with various folders like res, src, main, Java, layout etc. It’s better to follow this project structure. You can also create your own folders. Resource folder contains various resources to our app such as images which are called drawable’s, media files etc. java folder contains java code of our applications. Layout folder contains our XML code which is used to create User Interface for our app. So, create UI in XML and add functionality to your UI using Java. Now you are ready to get into developers mode and develop some great applications which would be helpful for society or become the next big thing. Check out an application Peek Vision which is a part of an initiative to provide better and effective eye health care facilities to under developed areas. Team Treehouse’s Android Development Track: Team Treehouse has an entire track dedicated to Android development. 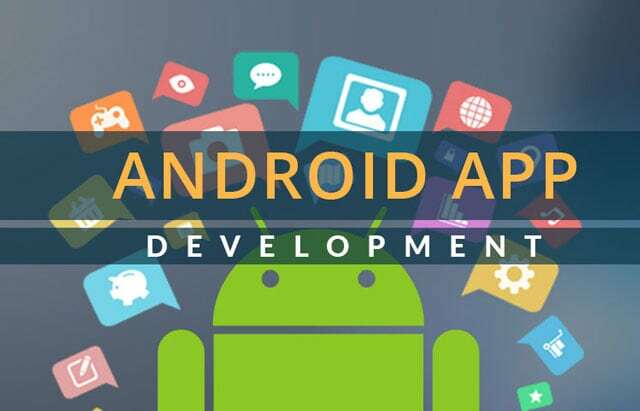 It consists of nine separate courses, all revolving around Android app building. Treehouse basic plans are only $25/month. Learn more about Team Treehouse and their courses here. Lynda’s Developing Android Apps Essential Training: This course is made up of 11 different lesson modules. Total video course time is nearly six hours—that’s a lot of material! Lynda has many other Android and Java courses, too. And plans for Lynda.com start at $24.99/month. Learn more about Lynda and their online courses here. Udacity’s Developing Android Apps Course: Udacity has an intermediate level Android course, built by Google. Over 177,000 students have already taken the course. There is a free 14-day trial. And then, $199/month. TheNewBoston Android App Development for Beginners: TheNewBoston is a great YouTube channel which provides videos on various Programming languages for free. Check out its Android App Development playlist. Even if you still struggle with coding your first app, then Google app maker is for you. Get straight down to development by simply dragging and dropping elements as you need them with G Suite support. For more updates, follow Android Developers on Google+ and subscribe their YouTube channel.